*This story has been updated to reflect the execution. Robert Jennings was on Texas’ death row for nearly 30 years. On Wednesday, the 61-year-old was put to death in the nation’s first execution of 2019. An appeal to the U.S. Supreme Court pointed out that, at the time of Jennings' trial, Texas juries were not told they could opt for a sentence of life in prison rather than death if they believed the defendant’s background or character warranted mercy — a key aspect of death penalty trials now. Rather, the so-called "special issue" questions Texas juries were required to answer after finding someone guilty of capital murder asked them to determine whether the murder was deliberate or provoked — and whether the defendant was a potential future danger. At the punishment portion of Jennings' 1989 murder trial, when the jury was supposed to answer those questions, the prosecution brought up Jennings’ long rap sheet — he had been to prison multiple times for aggravated robbery and had been released on parole only two months before Howard’s murder, according to court records. In his confession to police after his arrest, he also confessed to several other robberies in the two-month span. Meanwhile, Jennings’ lawyers only brought forth a Harris County jail chaplain, who said Jennings wasn’t “incorrigible,” in reference to potential danger posed. The jury also heard Jennings’ recorded confession, in which he admitted he had been drinking and using drugs and expressed remorse for the shooting. Jennings’ lawyers have argued that the jury’s inability to properly weigh his drug use and how remorseful he was for Howard’s death warranted him a new trial with the new special issue questions, which now include a question on mitigating evidence. They also said if the trial counsel had known to raise other mitigating evidence, including mental deficits and a troubling childhood, the jury would have reached a different conclusion. “It gets extremely complicated because the law evolves, and then the question is: Do new decisions get applied retroactively?” Randy Schaffer, one of Jennings’ lawyers, told The Texas Tribune Tuesday. Rather, the nation's highest court said it depended on the nature of the evidence presented at trial. 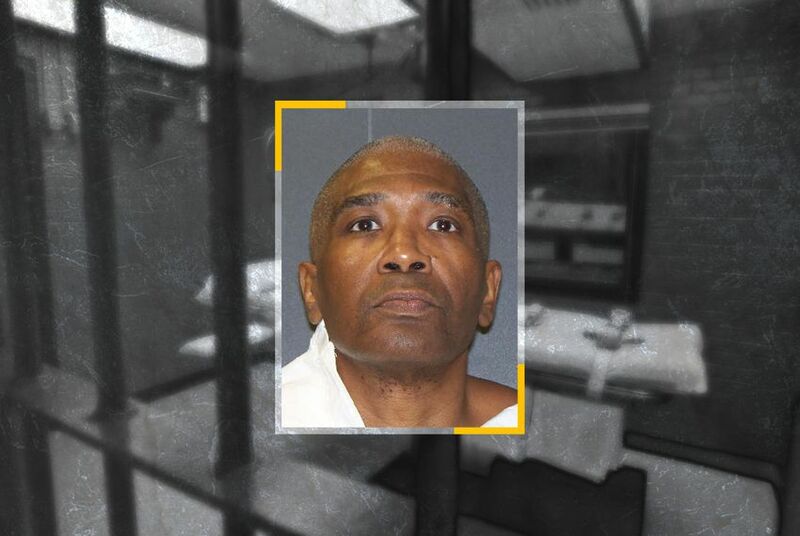 Ultimately, the courts said Jennings’ remorse didn’t make the cut — although he did get one execution date taken off the calendar as a Texas court took up the issue in 2016. Jennings’ lawyers argued against the court decisions by pointing to dozens of other capital murder cases that got new sentencing trials after the Supreme Court rulings. Specifically, they pointed to the case of Arthur Williams, another man who was sentenced to death for the murder of a Houston police officer under the old punishment standards and eventually re-sentenced to life in prison based largely on showing remorse for the killing. "Both Williams and Jennings exhibited remorse after killing a police officer in Houston. They were convicted and sentenced to death in the same court," Schaffer wrote in a pending appeal before the Supreme Court. "However, they have been treated differently thereafter." “In this case, Jennings' attorneys presented their limited evidence of remorse to the jury. And the jury rejected it,” wrote Texas Assistant Attorney General Ellen Stewart-Klein. Complicating matters further, another appeal landed in front of the U.S. Supreme Court on Tuesday, in which Jennings’ other lawyers faulted Schaffer, Jennings' longtime appellate lawyer, and his trial lawyers for “bad lawyering.” They argued that the trial lawyers were at fault for not calling for changes to the trial after the Supreme Court ruling on mitigation, instead blindly accepting improper jury instructions from the prosecution. And they said Schaffer, as the appellate lawyer, didn't properly raise the trial counsels' mistakes in the appeals process to get Jennings a new punishment trial. The court rejected both appeals about 40 minutes before the 6 p.m. execution time. Jennings' execution was the first of the year in the state and nation, his death coming only two days after four Houston police officers were shot during a narcotics bust. Earlier this month, the Texas Court of Criminal Appeals stopped the execution of Blaine Milam based on changes to forensic science and death penalty law.